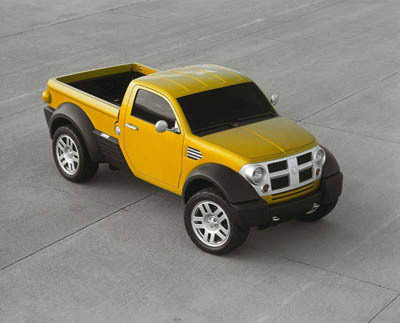 With an almost Tonka Truck-like appearance the Dodge M80 concept was quite an attractive, if somewhat toy-like, pick up. 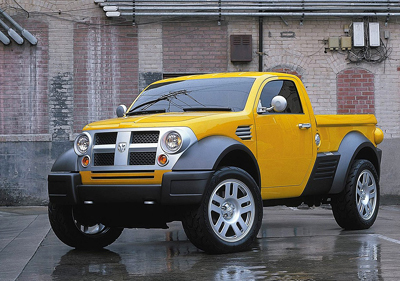 The Dodge M80 was designed to look like a truly All-American pick up truck. 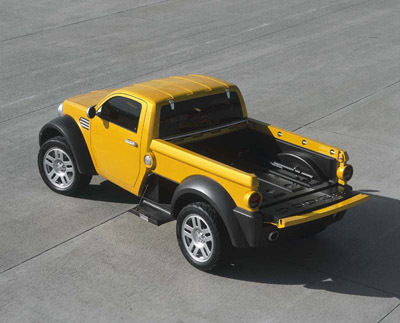 Complete with prominent flared wheel arches, imposing grille, and exaggerated styling details all recalling Dodge pickups of the past.